In just a few years, NASA's next Mars rover mission will be flying to the Red Planet. At a glance, it looks a lot like its predecessor, the Curiosity Mars rover. But there's no doubt it's a souped-up science machine: It has seven new instruments, redesigned wheels and more autonomy. A drill will capture rock cores, while a caching system with a miniature robotic arm will seal up these samples. Then, they'll be deposited on the Martian surface for possible pickup by a future mission. This new hardware is being developed at NASA's Jet Propulsion Laboratory, Pasadena, California, which manages the mission for the agency. It includes the Mars 2020 mission's cruise stage, which will fly the rover through space, and the descent stage, a rocket-powered "sky crane" that will lower it to the planet's surface. 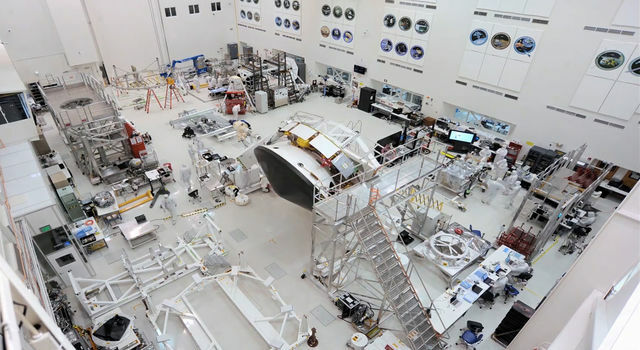 Both of these stages have recently moved into JPL's Spacecraft Assembly Facility. 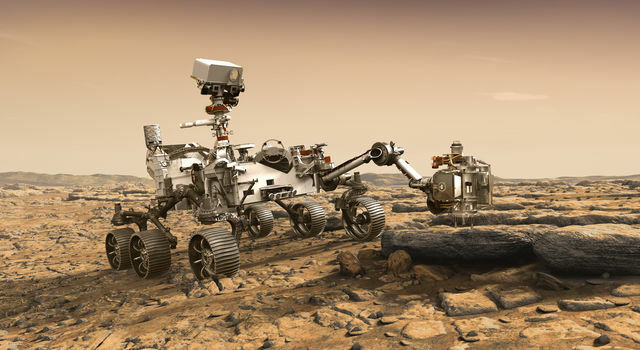 Mars 2020 relies heavily on the system designs and spare hardware previously created for Mars Science Laboratory's Curiosity rover, which landed in 2012. Roughly 85 percent of the new rover's mass is based on this "heritage hardware." "The fact that so much of the hardware has already been designed -- or even already exists -- is a major advantage for this mission," said Jim Watzin, director of NASA's Mars Exploration Program. 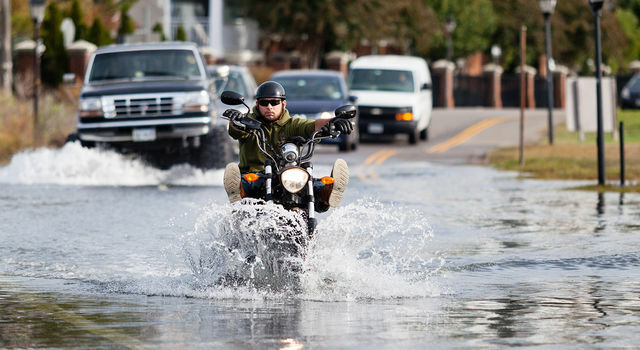 "It saves us money, time and most of all, reduces risk." Despite its similarities to Mars Science Laboratory, the new mission has very different goals. Mars 2020's instruments will seek signs of ancient life by studying terrain that is now inhospitable, but once held flowing rivers and lakes, more than 3.5 billion years ago. To achieve these new goals, the rover has a suite of cutting-edge science instruments. 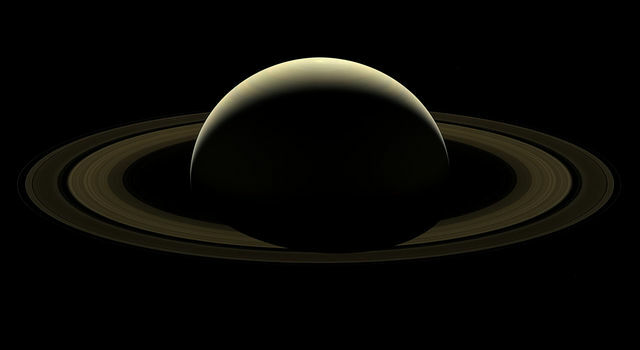 It will seek out biosignatures on a microbial scale: An X-ray spectrometer will target spots as small as a grain of table salt, while an ultraviolet laser will detect the "glow" from excited rings of carbon atoms. A ground-penetrating radar will be the first instrument to look under the surface of Mars, mapping layers of rock, water and ice up to 30 feet (10 meters) deep, depending on the material. 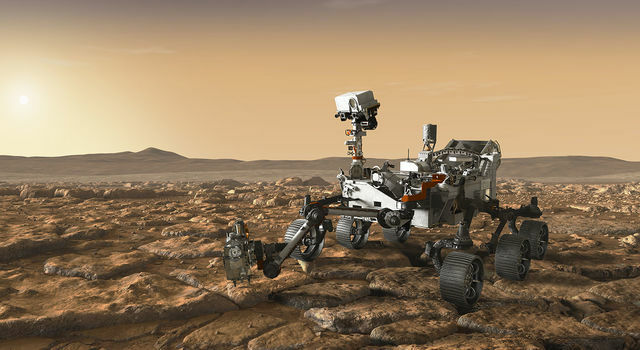 The rover is getting some upgraded Curiosity hardware, including color cameras, a zoom lens and a laser that can vaporize rocks and soil to analyze their chemistry. "Our next instruments will build on the success of MSL, which was a proving ground for new technology," said George Tahu, NASA's Mars 2020 program executive. "These will gather science data in ways that weren't possible before." The mission will also undertake a marathon sample hunt: The rover team will try to drill at least 20 rock cores, and possibly as many as 30 or 40, for possible future return to Earth. "Whether life ever existed beyond Earth is one of the grand questions humans seek to answer," said Ken Farley of JPL, Mars 2020's project scientist. "What we learn from the samples collected during this mission has the potential to address whether we're alone in the universe." JPL is also developing a crucial new landing technology called terrain-relative navigation. As the descent stage approaches the Martian surface, it will use computer vision to compare the landscape with pre-loaded terrain maps. This technology will guide the descent stage to safe landing sites, correcting its course along the way. A related technology called the range trigger will use location and velocity to determine when to fire the spacecraft's parachute. That change will narrow the landing ellipse by more than 50 percent. "Terrain-relative navigation enables us to go to sites that were ruled too risky for Curiosity to explore," said Al Chen of JPL, the Mars 2020 entry, descent and landing lead. "The range trigger lets us land closer to areas of scientific interest, shaving miles -- potentially as much as a year -- off a rover's journey." This approach to minimizing landing errors will be critical in guiding any future mission dedicated to retrieving the Mars 2020 samples, Chen said. Site selection has been another milestone for the mission. 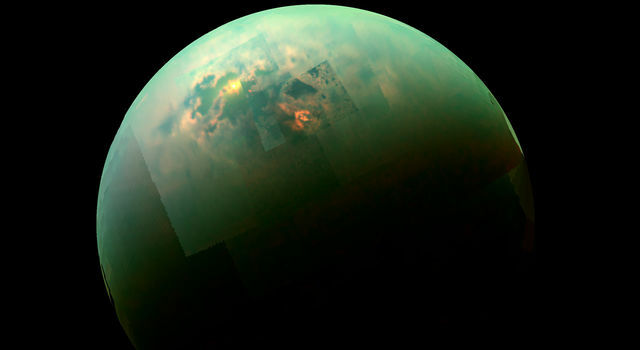 In February, the science community narrowed the list of potential landing sites from eight to three. Those three remaining sites represent fundamentally different environments that could have harbored primitive life: an ancient lakebed called Jezero Crater; Northeast Syrtis, where warm waters may have chemically interacted with subsurface rocks; and a possible hot springs at Columbia Hills. All three sites have rich geology and may potentially harbor signs of past microbial life. A final landing site decision is still more than a year away. "In the coming years, the 2020 science team will be weighing the advantages and disadvantages of each of these sites," Farley said. "It is by far the most important decision we have ahead of us."